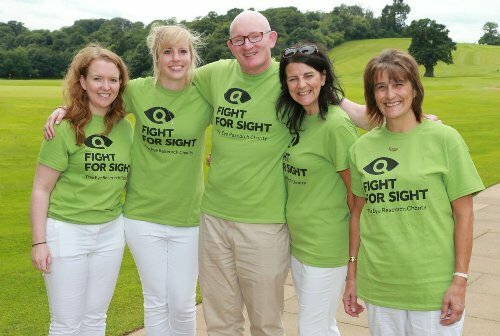 On 1 July 2015, golfers participated in a charity golf day raising vital funds for Fight for Sight, the main eye research charity, making the event a hole-in-one success. The 2014 Fight for Sight Charity Golf Day held here at Stoneleigh Deer Park Golf Club raised nearly £18,000 for the charity that funds pioneering eye research to prevent sight loss and treat eye disease. The event took place on Wednesday 2nd July 2014 with 27 teams taking part, one of which included snooker and TV star Willie Thorne. 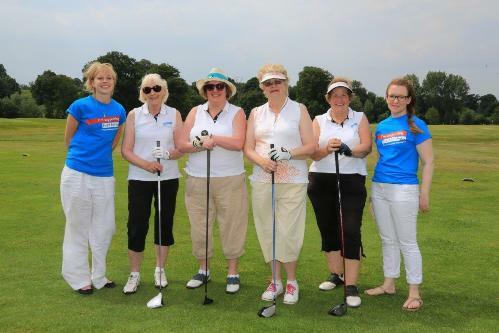 It’s the twentieth consecutive year Fight for Sight has chosen Stoneleigh to host its golf day, which is always organised by inspirational Warwickshire fundraiser, Debbie White. Debbie (pictured left with Willie Thorne) knows first-hand the devastating effects of sight loss having lived with Usher Syndrome for the past 40 years, and her association with Fight for Sight comes from a determination to work with a charity which funds research to prevent future generations from developing sight loss. She has been involved with the Warwickshire Fight for Sight committee for the past two decades, raising nearly £300k for the charity. Willie Thorne said: "What an inspirational woman Debbie is, her sheer determination to support Fight for Sight, whilst dealing with her own sight loss is amazing. It was an honour to be invited to attend and I’m delighted that so much was raised." The main sponsors on the day included; Specsavers and WPH Charitable Trust which made a generous donation. Guy Salmon sponsored a ‘hole in one' challenge on the 17th hole where they offered to donate a Jaguar to Fight for Sight if any of the golfers succeeded. Debbie, after twenty years of trying, was delighted along with her team members Nicky Woodhouse, Tina Coppin and Ronnie Nollett to be the first ladies team to lift the Fight for Sight Golf Cup, which was the icing on the cake of a great day!